The Rwanda Development Board (RDB) has embarked on an exercise to transform a famous cave in Musanze district into a tourism site. This was disclosed by Rica Rwigamba, the head of Rwanda Tourism and Conservation at RDB, while touring the site together with tour operators to assess the progress on Friday. Located in Musanze district, the decades-old cave is about 2km. She said works are already ongoing. A meeting between tour operators and the department of tourism and conservation is scheduled next month to seal the cooperation to promote the place as a tourist site. “We have been planning this for a while, our target is to increase tourism products; caves are part of products attracting tourists. We want to discuss with tour operators to help us let tourists know about our new products,” said Rwigamba, adding that within a month, they will announce the price of touring the cave after the consultations with tour operators. Rwigamba also urged local leaders to help in conservation of the cave by preventing people from dumping wastes or anything which can pollute in the cave. So far, the inside of the dark cave depicts a picture of a house with several rooms and corridors. The floor is paved and there are some stairs to ease movement. The cave is said to have been a result of volcanic eruption decades ago. Tourism was identified as a priority sector to achieve Rwanda’s development goals as set out in Vision 2020. The cave is the newest tourism product in Rwanda; with plans to turn several other caves into tourism sites in the future, according to officials. Last year, Rwanda’s tourism sector generated $281.8m (Rwf178b) up from $251.3m (Rwf159b) in 2011, according to 2012 Tourism Report by the RDB. Meanwhile, RDB is also set to introduce hiking as another tourism product, Rwigamba announced. “The country is hilly. There are people who like mountain climbing,” Rugamba said. Ishyo also hosts different events related to fashion, plays, music and different other aspects of culture. It usually hosts experts from different countries to train and work with Rwanda artists, encouraging cultural diversity and improving skills. It is also home to the Goethe Institut – well known for its movie night every Tuesday evening. You will find a lot more than movies as it also organises brainstorm debates every last Thursday of the month. Besides the bowling alley and comfortable lounge, there is an area with sand to play beach volleyball. In other words you don’t need to go to Gisenyi to enjoy beach volleyball. Bowling is an American game that is enjoyed by both children and adults. It’s relaxing and fun especially if there are two teams competing. Located on one of Kigali’s hills, the memorial tells the story of what happened in very few words but many pictures and videos Beautifully decorated, the centre stands on the site of 250,000 mass graves. The centre is a must visit if one is to learn the root of Rwandan persistence and optimism. The Workforce Development Authority (WDA) has earmarked Rwf500m to promote and professionalise art in the country. Jerome Gasana, the WDA director-general, revealed this at a symposium on arts and craft organised by the Authority and the Rwanda Arts Initiative. It drew artists, teachers, government and private institutions to discuss the way forward to develop arts and craft. According to the State Minister for Primary and Secondary Education, Mathias Harebamungu, the first step is to expand the arts school of Nyundo (Ecole d’Arts de Nyundo) in Rubavu district, Western Province, to train more students. The school will later have branches countrywide to nurture talent. “Artists can’t be professionals unless they sacrifice and put more effort. The appealing arts products should market artists and the country,” said Harebamungu. WDA has toured the country to meet talented people and gather their views on what can be done to equip them with skills to generate income like other paying professions. The Education Ministry has set a curricula to cover arts and craft in primary and secondary schools. The minister urged artists to define arts, be original, innovative and critical thinkers before seeking government support. According to Gasana, the drive targets not only students, but other persons whose talents have not been tapped. He said expanding schools of arts and craft will be done in Integrated Polytechnic Regional Centers (IPRC) are spread country wide. “Promoting arts and craft is our priority. We want every artist to be competitive at international level,” Gasana said. He said WDA is looking for qualified teachers in arts and crafts. Michel Saba, an expert and staff from the Ministry of Culture and Tourism in Burkina Faso, who was invited to participate in the symposium, said arts and craft has in his country to the extent that artists earn a lot from it and contribute significantly to national development. Saba said his country has been developing the arts industry since 1969. Florence Boivin Roumestan, a Canadian consultant, said she has seen a lot of potential among Rwandan artists. “Artists should work as a team, organise themselves and do lobbying so that the government supports them,” she said, stressing the need for arts schools and individuals to inculcate respect of copy right law of other artist. A critical examination of the tourism sector shows that 2012 was an impressive year. With the sector generating $232 million by October 2012, compared to $204 million in 2011, it was the biggest foreign exchange earner. The reason for the continued growth of tourism is the country’s security and stability that attracts visitors keen to see and enjoy the country’s various attractions. President Paul Kagame, in his State of the Nation Address recently noted that it is critical that we strive to provide excellent service and customer care so that visitors to Rwanda leave as good ambassadors who will return and also encourage others to visit. That aside, ensuring long term development of the tourism sector should be the country’s priority. 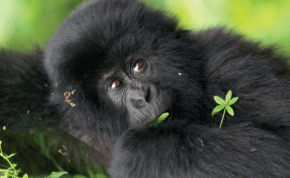 This can be achieved through creating more tourism avenues to minimise pressure on Mountain gorillas and the national parks which are Rwanda’s traditional tourism attractions. For example, Rwanda should promote heritage tourism. There should be a deliberate effort to encourage people to come and experience the unique places and activities that represent the stories of Rwandan tradition. Heritage tourism is said to be the fastest growing segment of the tourism industry as the trend tilts towards an increase in specialisation among tourists. There are many tourists who seek adventure, culture, history, archaeology and interaction with local people. Rwanda is gifted with a rich historical, natural and cultural heritage which if properly harnessed, can potentially improve the socio-economic situation of Rwandans and provide employment through heritage tourism. Apart from the national museum in Huye, there are other equally important museums and heritage sites in the country as well as intangible heritage like our traditional music which can help boost tourism in Rwanda. It therefore requires the documentation of these sites and incorporation of the information into tourism itineraries or guides. Eleven years ago, in 2011, Mary Ann and John McDonald hardly knew that a sovereign state called Rwanda existed. Only with the aid of American newspapers and online travel articles did they acquaint themselves fairly well with the country and, more so, its immense tourism endowments. Talking of tourism endowments, the couple’s interest was specific and well-defined: gorilla tracking. Against this background, the couple made its first trip to Rwanda in 2003. Mission: gorilla tracking and photography. Nine years on, and the sport of gorilla tracking has become almost more than just a mere hobby of the couple’s; it’s an addiction! Joe and Mary Ann McDonald are the most popular and active husband-wife nature photography team in the US today. The couple spends at least half of each year in the field, leading photo safaris to Africa and other remote destinations. The couple spends most of its time leading and facilitating photo tours, safaris and workshops across the globe. Typically in a year, they cover at least six different continents. And Rwanda is by far the dearest to them among all places they have been to. “There is no other place in the world where you can be so close to large wild animals and yet still be safe. These are animals that could take one’s head off but they are gentle,” remarked Joe as the couple concluded their latest expedition on Friday. There was a triumphant and heroic mood in the air as locals gathered at the bottom of the Volcanoes Park to meet and greet the couple. The couple was bedecked in traditional Rwandan garb, in which they were crowned as a sign of their majesty in a small ceremony. This particular visit was the third this year alone. On each of these visits, they bring a long at least six new tourists, who they offer practical skills in gorilla photography. “We basically get people through websites and articles, we invite them and we come together to share experiences of the wild. As they come they get hooked and some have returned on their own,” remarked Anne. Touring aside, the couple is carrying out research into the life of the rare mountain gorilla species. They have collected numerous pictures, documenting gorillas’ lives. Part of the reason for this particular undertaking is the fact that at present, the mountain gorilla is an endangered species. There are about only 720 mountain gorillas left in the wild, most of them concentrated in the rugged mountain slopes of five dormant volcanoes preserved by the Volcanoes National Park. Rwanda’s share of the mountain gorilla population is the largest, with over three hundred primates, while the rest are scattered between the DRC and Uganda. The photos they capture appear regularly in calendars and publications of the National Wildlife Federation, World Wildlife Fund, and numerous other companies globally. Joe has been photographing wildlife and nature since 1966, starting with images of pet turtles, lizards and snakes he made in high school. He is 60 years old, and holds a Bachelor of Science degree in Biology, plus a Masters in Media degree. He taught high school biology for 6 years before completely devoting his time to photography. His wife Ann has been photographing wildlife and nature professionally since 1990, after attending a photo workshop run by Joe, who would become her future husband. Since then, she has been published in most American natural history magazines. She holds a Bachelor of Science degree in Biology. The Rwanda Development Board in partnership with Google has conducted the mapping exercise of Rwanda’s tourism attractions with the objective of increasing access to tourism information on the web. The so-called Rwanda Tourism MapUp started in Kigali before continuing to Musanze and Rubavu where key touristic features and attractions were mapped to be added to the Google map list. The mapping will cover hotels, restaurants, road networks, entertainment facilities, banks and forex bureaus, business and shopping centers, historical sites and geographic features among others. According to Rwanda’s sustainable tourism development master plan, the Internet is now firmly established as the most important means of communication in global travel industry. It is estimated that around 70% of travel decisions are made using websites. Forty participants including professional mappers, GIS experts, university students and tourism operators took part in Rwanda Tourism MapUp, and it is planned that updates will be made regularly. In 2011, tourism sector overtook coffee and tea to become Rwanda’s top foreign exchange earner. This was facilitated by increased flight frequencies by national carrier RwandAir and the arrival in Kigali of new airlines such as KLM. Collaboration among tourism stakeholders when promoting and marketing tourism and increased PR campaigns also boosted Rwanda’s tourism sector, which earned an estimated US$ 216 million in 2011. Tourism sector has topped Rwanda’s exports with 25.5 percent over the total exports score of 31.7 percent revenue into Rwanda’s economy. Figures published by Ministry of commerce indicate that the fast growing sector earned the highest figure at US$251 million in 2011. Presenting the state of the Rwanda’s economy Francois Kanimba, the Minister of Trade and Industry, said that exports increased by 31.7 percent, from US$564.6 million in 2010 to US$743.5 million in 2011. Kanimba said it was mainly mainly boosted by improvement in the mining, tea and coffee sectors, as well as receipts from tourism. However, imports were still 33.9 percent higher than exports, owing to poor performance by local industries which made it inevitable to increase imports. Imports skyrocketed to over US$1.08bn in 2011 compared to the previous year’s US$1.05bn. “We still have a lot of work to do in the local industrial sector; many industries are struggling to operate and indeed, some of them may close down,” Kanimba said. According to Kanimba the government decided to bail out 25 local medium scale industries and 15 small ones under a programme that will continue through 2012 to bridge trade deficit. Ten new plants commenced operations in 2011 as well as a number of small food processing plants in the rural areas hence contributing to the overall performance of the economy. He also said that there was no tangible gain from the East Africa Community’s (EAC) resolution to impose taxes on sugar imports from outside the bloc yet the region faced a heavy sugar scarcity. “We requested our EAC counterparts to consider the removal of taxes on sugar imported from outside the bloc as an incentive to increase supply and stabilise sugar prices in the local markets,” Kanimba said. EAC imposed taxes on sugar imports from outside the bloc to protect sugar traders in the region. However Rwanda’s trade with EAC has improved with exports to the region elevating to US$107 million by September 2011 from US$105 million in 2010. “Among other things, regional trade was facilitated by the opening of Nemba One Stop Border Post with Burundi following the 24 hour operations at Gatuna. Other border posts to commence construction in 2012 include Kagitumba-Mirama Hills and Rusumo Border,” Kanimba added. The government also expressed optimism on key bilateral investment deals with Congo Brazzaville, North America and China. Under the Bilateral Investment Treaty with the USA signed in 2008 by President Paul Kagame and former US President George W. Bush, Rwanda was able to export products worth US$52 million in 2010. Under the agreement, Rwanda has the opportunity to export over 5,000 units of products duty free into North America. On top of that, China opened up its market for up to 4,000 products from Rwanda on duty and quota free basis.